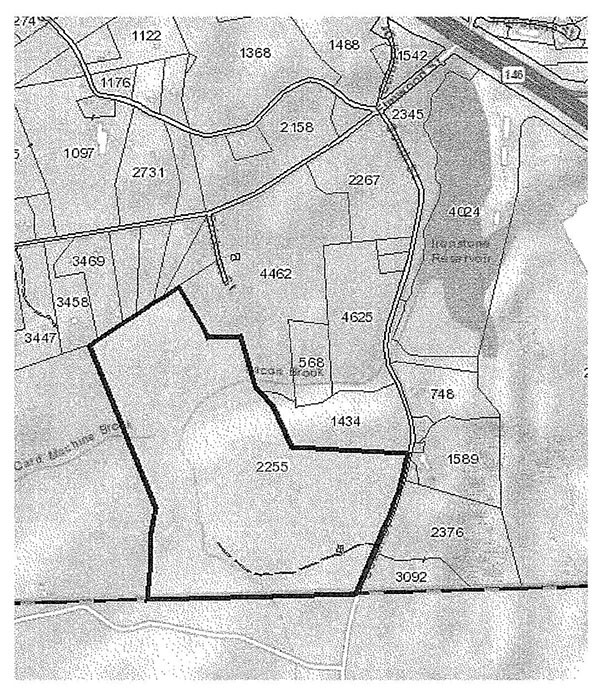 The plaintiffs, Richardson-North Corporation and Elias Richardson, III, own six contiguous parcels of land in Uxbridge, Massachusetts, which appear as parcels 568, 1434, 1589, 2255, 4462, and 4625 on the Uxbridge Assessor's Map (the Richardson Property). A copy of the relevant portion of the Uxbridge Assessor's Map is attached as Exhibit A. This action is an appeal of a decision of the Zoning Board of Appeals of the Town of Uxbridge (ZBA), dated May 2, 2017 (ZBA Decision), upholding two cease and desist orders issued by the Building Inspector of the Town of Uxbridge dated January 10, 2017, and February 6, 2017 (the Cease and Desist Orders). The Complaint in this case was filed on May 16, 2017. The case management conference was held on June 13, 2017. [Note 1] The pretrial conference was held on April 27, 2018. The Motion of Defendant Zoning Board of Appeals of the Town of Uxbridge to Substitute Members as Defendants in this Matter was filed and allowed on June 19, 2018. A view was taken on July 18, 2018. A trial was held on July 19 & 20, 2018. Exhibits 1-23, 25-29, 31, 33-35, 37-44, and 48- 52 were marked. Exhibits 43, 44, and 49 were sealed. Testimony was heard from Elias Richardson, III, Patrick Hannon, Joan Bonarrigo-Navarro, James Bing, Larry Lench, Thomas Christopher, Elias Richardson, IV, and Allen Hanscomb. The Defendants' Proposed Findings of Fact, Proposed Rulings of Law, and Post-Trial Memorandum of Law were filed on October 9, 2018. The Plaintiffs' Request for Findings of Fact and Rulings of Law and Post-Trial Memorandum of Law were filed on October 15, 2018. Closing arguments were heard on October 16, 2018, and the case was taken under advisement. In a Decision of even date, the court (Foster, J.) has made findings of fact and rulings of law. ORDERED and ADJUDGED that a copy this Judgment may be filed in the Worcester Registry of Deeds and marginally referenced on all relevant documents.